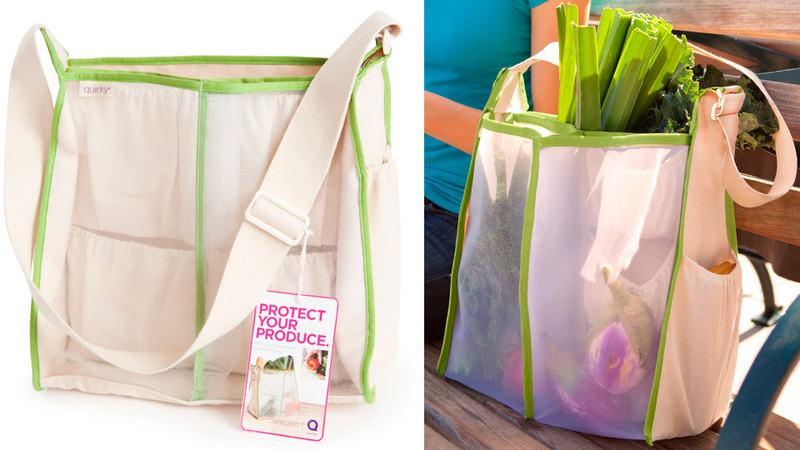 They might be helping the environment, but with everything banging around in that large reusable shopping bag, your fresh fruits and vegetables don't always get from the supermarket to the stove unscathed. So Quirky teamed up with food blogger Darya Pino to design a better bag. 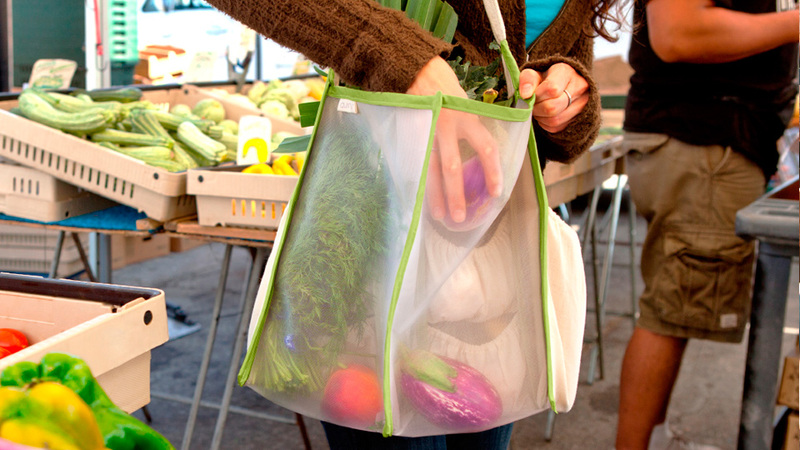 Made with a strategic combination of cotton, canvas and nylon mesh, the Mercado bag's got six interior pockets and three large compartments so you can separate softer delicate items like produce, from harder items like cans and bottles. It's probably also the perfect bag for the obsessively organised, since you can spend hours at the checkout re-sorting your groceries until you find the perfect arrangement to get everything home safely. But the best feature of the $US25 bag is the adjustable over-the-shoulder strap that lets you carry everything home while keeping your hands free to answer the phone or fumble with keys. Why do most reusable bags assume that everyone only has to carry them from the driveway to the kitchen?